Aquiris Game Studio SA has published a free demo for its arcade racer, Horizon Chase Turbo, which released for the PlayStation 4 and PC in May 2018. Multiplayer mode with split-screen for up to four players. Two game modes (World Tour and Tournament). Horizon Chase Turbo is a homage to classic 16-bit racers that defined a generation of high-speed, frenetic arcade fun. The game ignites an instant blast of nostalgia with catchy contemporary chiptune music, split screen multiplayer and retro design with modern gameplay. The game main features include a deep and extensive single-player world tour campaign, intense tournaments, endurance challenges and more than 31 vehicles across 109 tracks, spanning real-world locations, such as China, Japan, Hawaii and more. 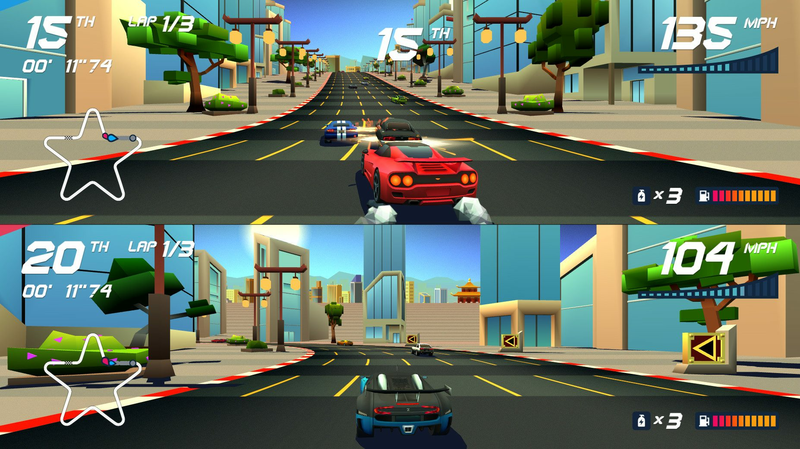 Horizon Chase Turbo‘s soundtrack is composed by Lotus series composer, Barry Leitch.